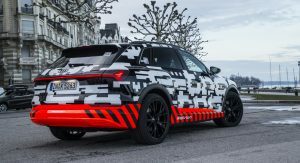 Those interested in Audi’s upcoming E-Tron electric SUV can reserve one, as the automaker has started taking orders for it. 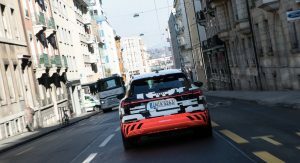 Quoting an official document, InsideEVs states that it has a starting price of €80,000 in Germany, which equals to $98,758 at the current exchange rates. 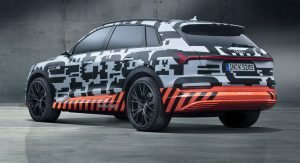 Still, it’s estimated that Audi‘s first battery-electric model will cost some $100,000 in the United States, which would make it more expensive than the entry-level Jaguar I-Pace and Tesla Model X. 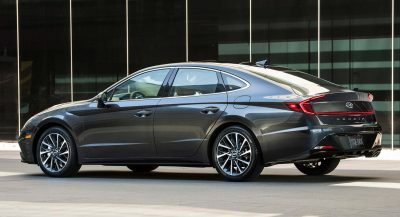 The former starts from $70,495, whereas the latter is available from $80,700, both before incentives. 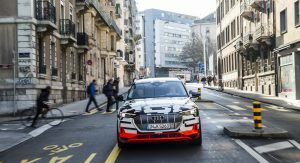 Unveiled in near production form at the 2018 Geneva Motor Show, the Audi E-Tron will continue to be tested until this summer, when the production version will be presented in Brussels, Belgium, on August 30. 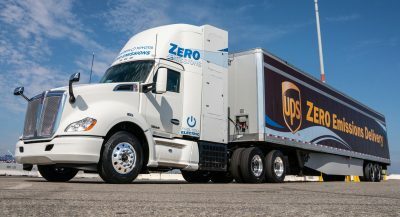 It will hit the assembly lines in the second half of the year, and deliveries should commence before the end of 2018. 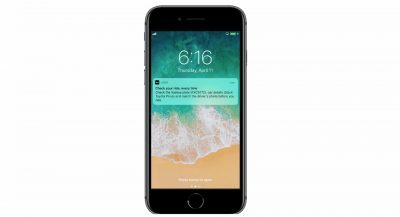 It comes with fast-charging technology, but the manufacturer hasn’t announced any technical specs about it so far. 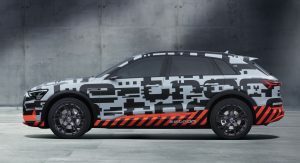 However, since it was previewed by the E-Tron Quattro Concept in 2015, it might follow a similar path, namely three electric motors generating in excess of 400 horsepower. 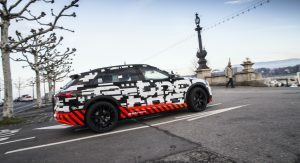 The study came with a 500hp overboost function, needed 4.6sec for the 0-100km/h (0-62mph) acceleration, and could travel for around 500km (310miles) on a single charge. 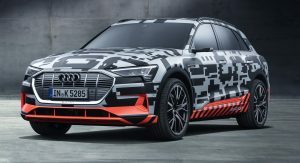 The Audi E-Tron will be followed by the E-Tron Sportback in 2019. That is quite steep, but again you had to wait until come comparison test to see whether it was worthed. If the range is good …than it’s worth the money….+ you get the Audi quality. 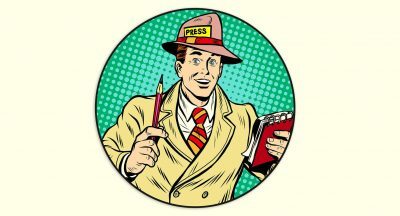 When it actually goes in production we’ll see what the official figures tell us. I don’t believe it will be the same as the concept because that would put it at a disadvantage. Why do all the newer CUV’s have to have such steeply raked rear window lines? 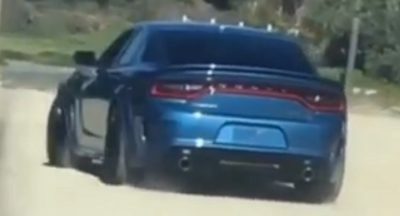 I really don’t think it adds anything to the overall look and it certainly eats into headroom and trunk space. 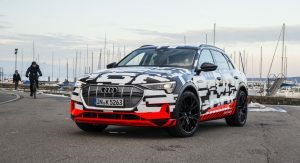 Otherwise, this Audi looks great. Previous PostPrevious How Much Would You Pay For The Fastest Car Toyota’s Ever Made?